Preparations are well underway for this year’s junior camp which will be held from Monday 5th August to Friday 9th at Grange Farm, Towersey. It is a combined camp with the South Oxfordshire Hunt South and Central. As normal for junior camp, members will bring their ponies every morning and take them home each afternoon for a well deserved rest. The week will comprise a mixture of lessons, fun rides and stable management. Children will bring a packed lunch each day but will be given snacks and drinks mid-morning and mid-afternoon. 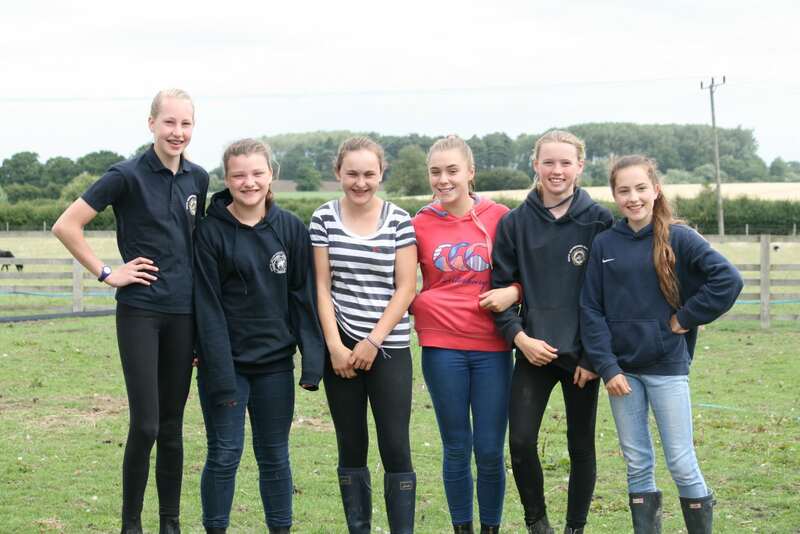 On Wednesday the ponies will be collected at lunchtime and the children will take part in some non riding activities (including swimming) at the Old Rectory Albury. There will be a demonstration for parents after lunch on Friday followed by prize giving. Senior members will be on hand to help the younger members with their ponies and we do not anticipate requiring any parent helpers at this stage. However parents will be asked to be part of a catering rota to feed our hungry instructors and helpers. Looking forward to seeing lots of you in the Summer!